Oh, Christmas. It's flown round and hit me like a ton of bricks... in my mind, I can't even register that it's December already, let alone that the big day is only a matter of weeks away now. 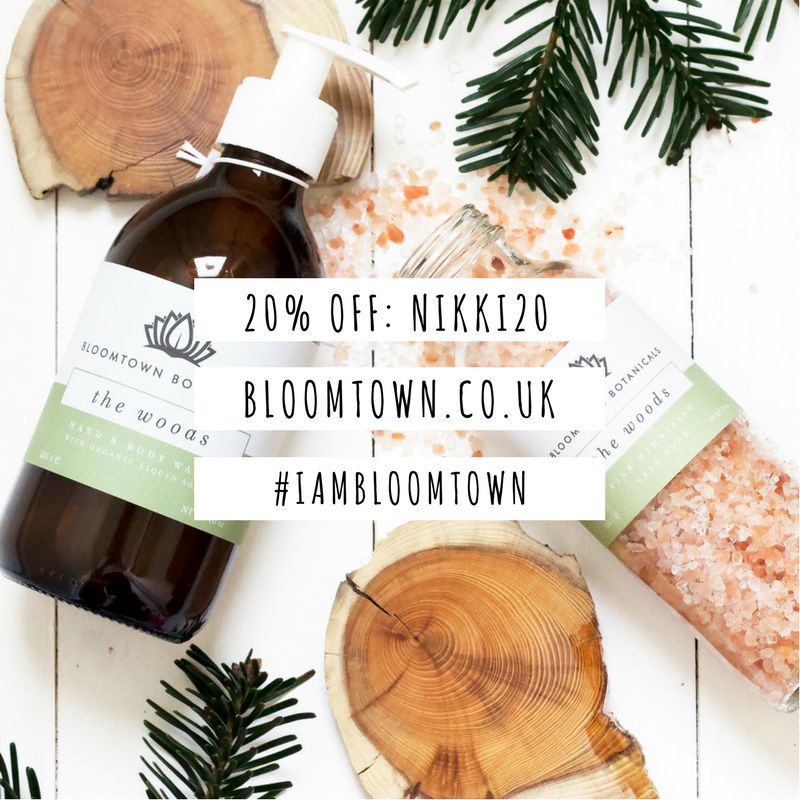 If you're a bit stuck for gift ideas, seeking a bit of inspo or wanna surprise your loved ones with treats you won't find on the high street; this one's for you. 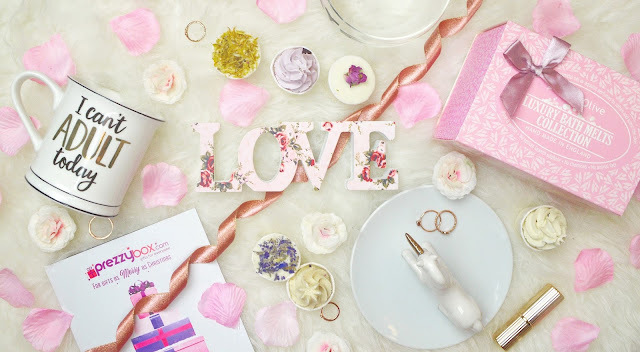 I've picked out some gorgeous, affordable options from Prezzybox - one of the best loved online gift retailers in the UK, to share with you guys today. And you're gonna want them in your life tbh; never mind giving them to other people! I'm gonna warn you now guys, this post is photo-heavy AF. But once you see my picks in more detail, you'll totally understand why. One of the prettiest blogger hauls I think I've ever had. Okay, I don't mean to be dramatic, but this cup has captured my entire heart & soul. Just look how cute it is! It's delicate, pretty, a great gift idea for a cat lover and when 'avin a cheeky brew in it, gives the drinker the appearance of being an actual kitty. The cup itself is also available in a moustache, dog and dummy design, if you're wanting to gift it to a recipient who'd prefer those. BUT CATS. 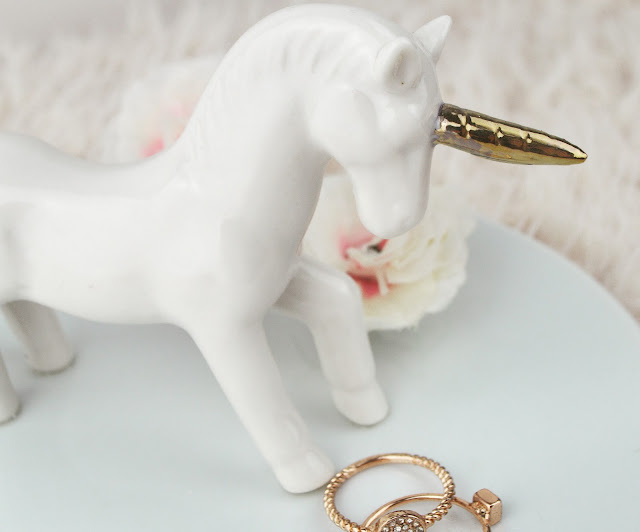 Is this not the cutest trinket dish you've ever seen? The ideal piece to prettify your dressing table and keep your jewellery / other bits and bobs safe. Everyone loves a good old unicorn and for less than a tenner, this has STOCKING STUFFER written all over it. A Sass & Belle product - another one of my fave brands which I was made up to learn that Prezzybox stock. How much of a bargain is this Cath Kidston-esque floral Love decoration by Sass & Belle? A pretty, girly interior piece perfect for your bedroom or dressing table. Or the person who you're supposed to buying it for's. But yeno, when everything turns up in ya order and it's as gorge as this, you will end up wanting to keep it for yourself. YOLO. 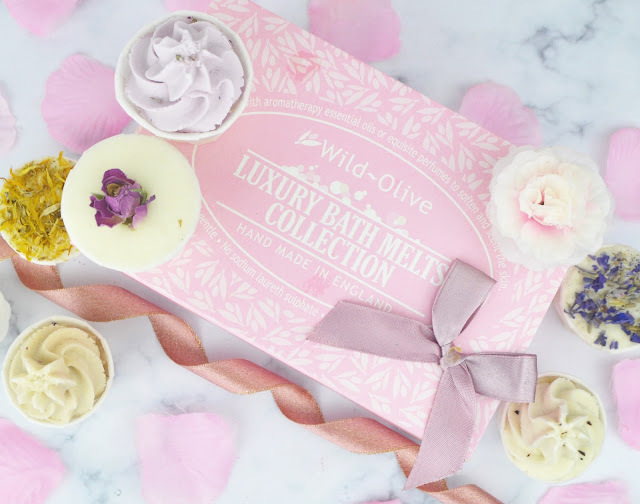 As soon as the Hermes guy handed me my pink Prezzybox parcel of triumph [which I was dead happy about as it meant I could disguise the obv fact I wasn't wearing a bra with it] I could smell something amazing... which was totally these bath melts. They're BEAUTIFULLY fragranced, boxed in fun pink packaging and are so damn Instagrammable it hurts. Forget those last-minute dashes to the Boots 3 for 2 Gift Aisle; get her some smellies she'll actually be surprised by & happy to find under dat tree this year - at the reduced price of £11.99. 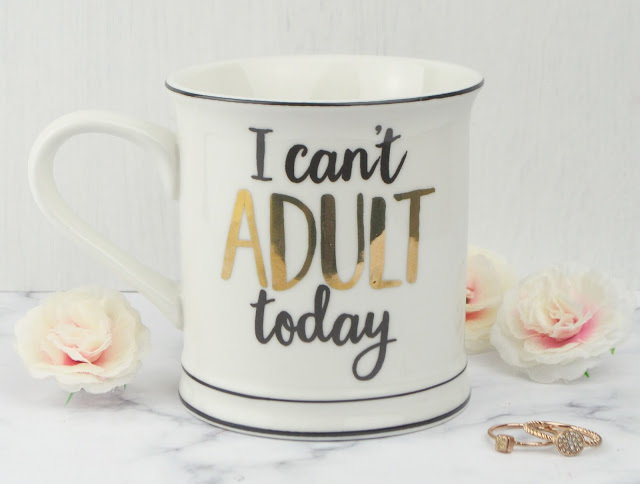 I don't think I've ever seen a mug which summarises my entire life so accurately before tbh. Another Sass and Belle creation, this stylish monochrome mug is almost too pretty to use. Almost - let's not get carried away. 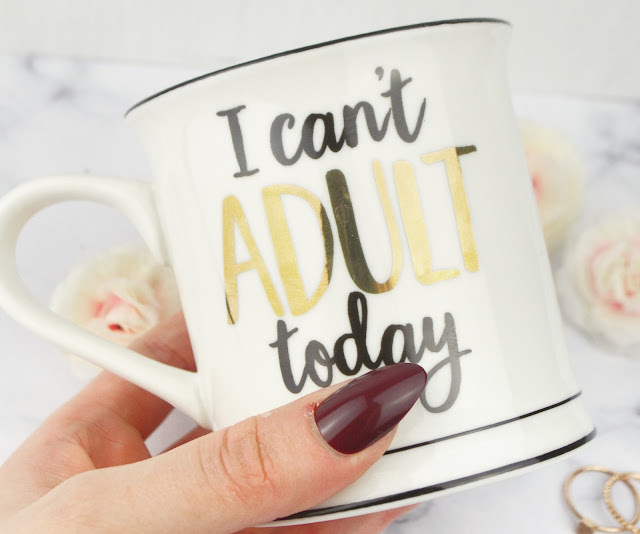 I'll defo be using mine in the office on-the-daily, to remind my colleagues that adulting is pretty much out of my depth most of the time; and I'd much rather be in bed watching Spongebob whilst eating cookies and not getting fat. With [almost] everything here under a tenner, these picks make perfect pressie ideas and great choices for Secret Santa gifts; if you're involved with one this year. I am, and I totally ordered my [un]lucky recipient a couple of bits from Prezzybox after finding myself so impressed with their range of stock. 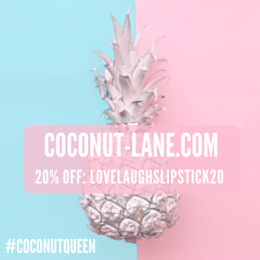 They have cute gifts, funny gifts, on-fleek gifts and of course, a filthy section of naughty pressie ideas; which is totally where I headed, credit card in hand! What's your favourite pick from my haul above? Have you spotted anything on Prezzybox.com to gift your loved ones with this Christmas? Remember - a good gift doesn't have to be expensive, it's the thought that counts for so much more. And Prezzybox have legit thought of everything! *This post contains PR samples, but all opinions and immature sense of humour is 100% my own.